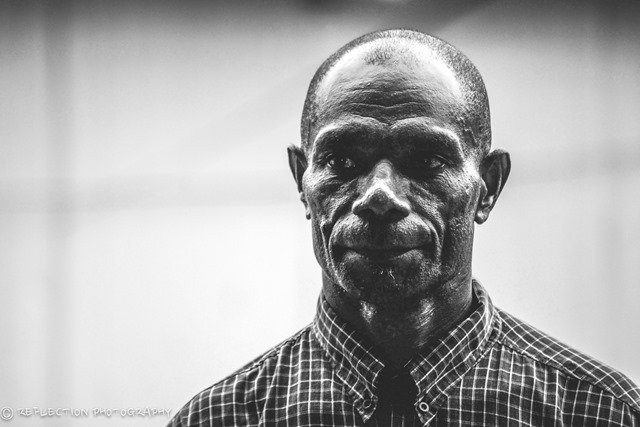 We are currently in the USA raising our budget to return to Vanuatu in August of 2017. Just because we are away from Joy Bible Institute doesn’t mean the ministry is put on hold, but rather replacement teachers are needed so classes and ministries can continue. 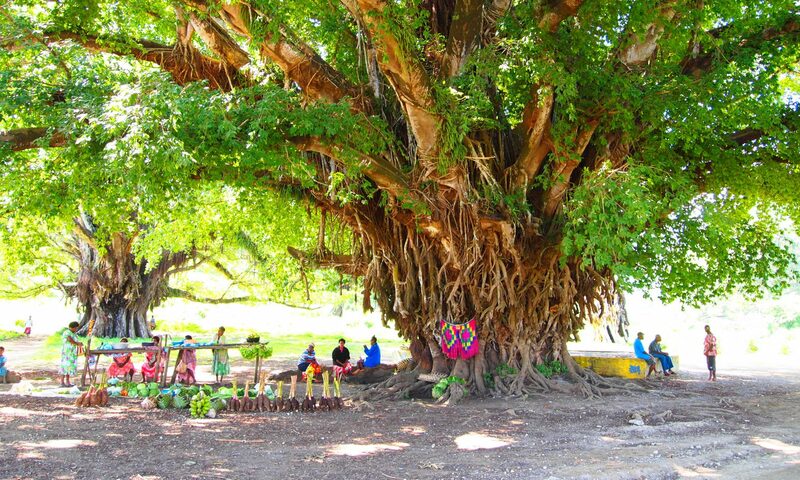 We are so pleased to let you know that Ray and Becki Sparre, along with their son Thano, have been approved by MAPS to go to Vanuatu for 3 months and teach at Joy Bible Institute. 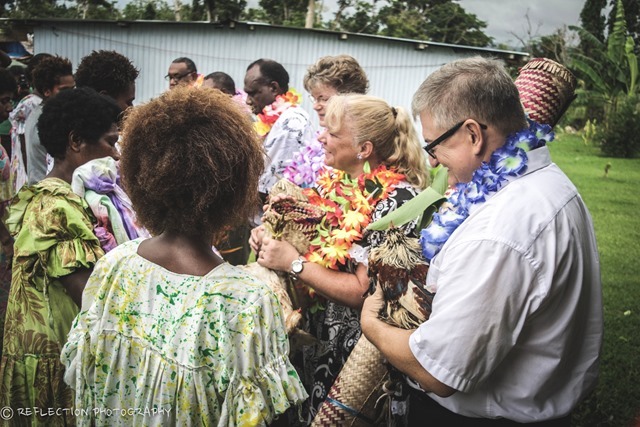 The Sparre family spent many years as AGWM missionaries in both the Solomon Islands and Vanuatu. 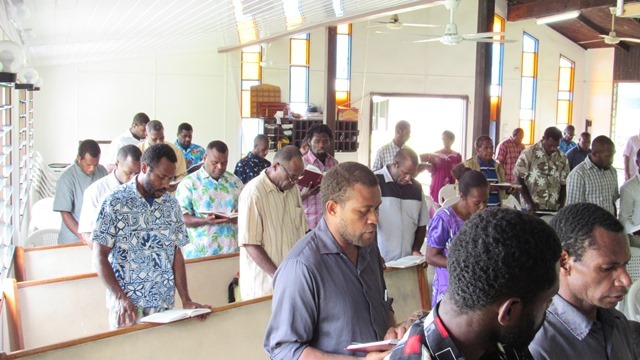 This is wonderful news not only to us but also to our JBI teachers, Pastor Philip Naias and Pastor Kiel Maimai, who have been carrying a heavy workload in our absence. 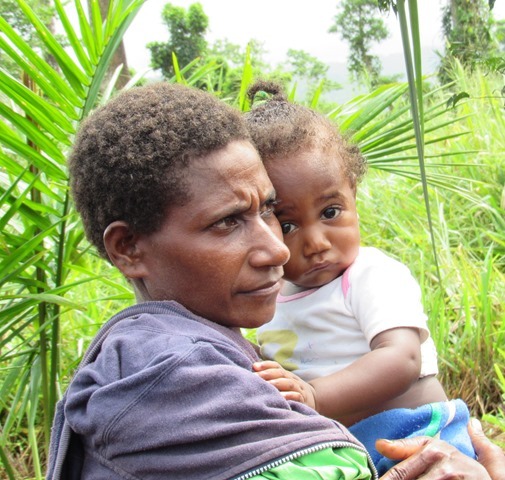 The Sparres will leave for Vanuatu in a few short weeks and urgently need financial support for airplane tickets and living expenses. If you would like to support them, I know it would be appreciated. Please read the following to know more about these wonderful people and how to help them. When Ray and Becki told me what they had decided to do a few weeks ago, I felt moved to get involved in the process of supporting their venture. 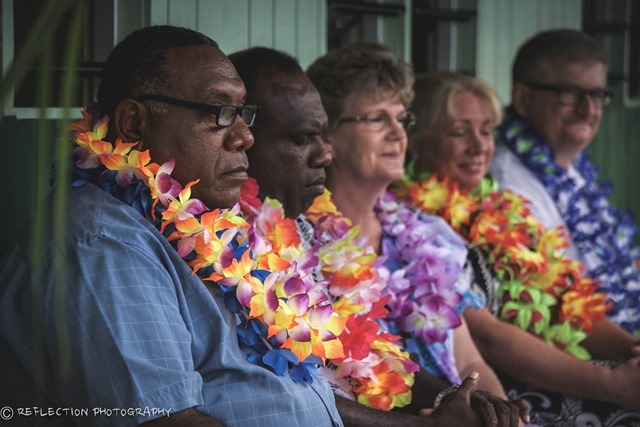 Ray and Becki spent 28 years as missionaries in the Islands of the Pacific. 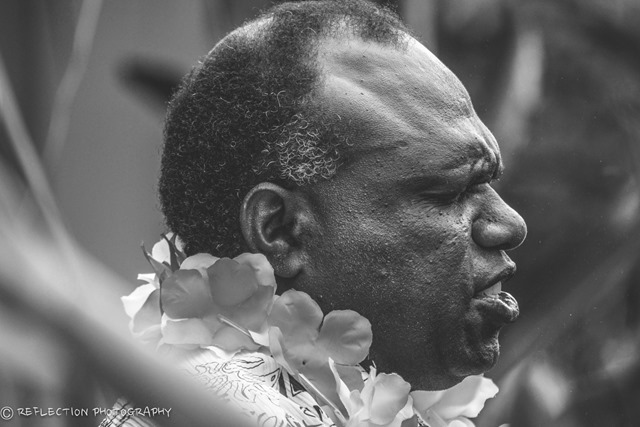 They were just finishing a four year term of service in Vanuatu in 2001 when they received word that their two sons were involved in a serious motorcycle accident stateside. Their youngest son, Thano, suffered permanent brain damage in that accident, which brought an end to the Sparres island missionary work. Shortly after they returned to Oregon, the Sparres moved to acreage near Molalla where Ray proceeded to set up his own portable saw milling business. He has used his hands and artistic talents to provide for his family through milling, construction and sign painting. 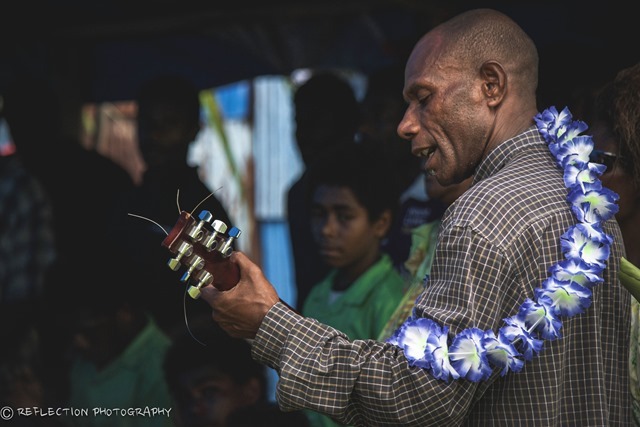 Just a few weeks ago they received a call asking them to consider a three month mission trip to fill a vacancy in the Bible School on Vanuatu for the Spring semester. 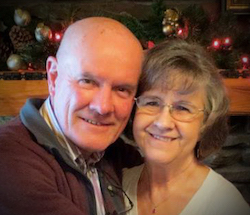 Even though this would be a completely voluntary service with no financial compensation, Ray and Becki felt moved in their spirits that it was of God. They made the decision to go, with only a few weeks to prepare. Ray will have to continue to work and fulfill his business commitments right up until their departure at the end of February. This leaves them with virtually no time to itinerate and raise funds for the mission. Income from Ray’s work will stop completely for March, April & May while they are abroad. Their mortgage payment and other monthly obligations will continue stateside. They will have to raise over $5,000 for round trip airfare for Ray, Becki and Thano. 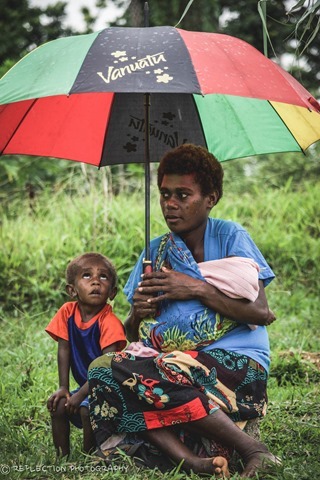 Insurance required by the Missions Department amounts to nearly $1200. 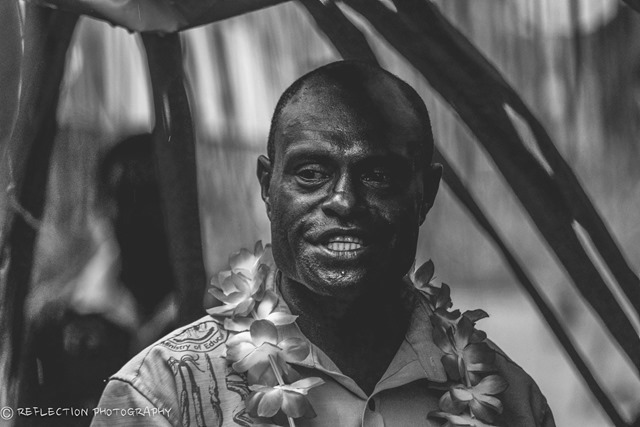 While serving in Vanuatu they will be provided a house and vehicle, but will be responsible for their own food, gas and other miscellaneous personal expenses. Ray estimates that the total budget for the 3 month mission will be about $15,000. Ray and Becki have received official approval through the Assemblies of God Missions Department for this short term mission. MAPS will issue tax deductible receipts for contributions, but will not be processing or disbursing funds. This letter is not intended to convey an expectation or to produce a feeling of obligation on anyone. Our purpose is to make you aware of what the Sparre’s feel called to do, and let you know how you can participate financially if you feel the Lord’s prompting to do so. Eunice and I have purposed to make a one time gift to help with the initial cost in getting to the field, followed by a monthly contribution for March, April and May. I am also hoping to create a place on our nc60salumni.com website where you can see pictures and reports from the Sparre’s while they are on their mission. There may also be some reports and pictures postings on facebook for those who are facebook friends. Thank you for taking the time to read this lengthy email. Please feel free to email us if you have any questions. Just wanted to update the information on our current projects. All financial gifts may be sent to our Assemblies of God World Mission account, and please be sure to designate with the project name and number. 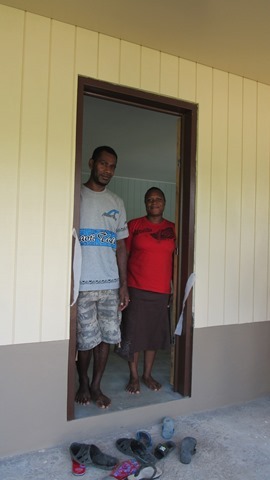 We have completed the first student house on the new property and a student and his family have moved in! We plan to build 7 more small houses on this property. 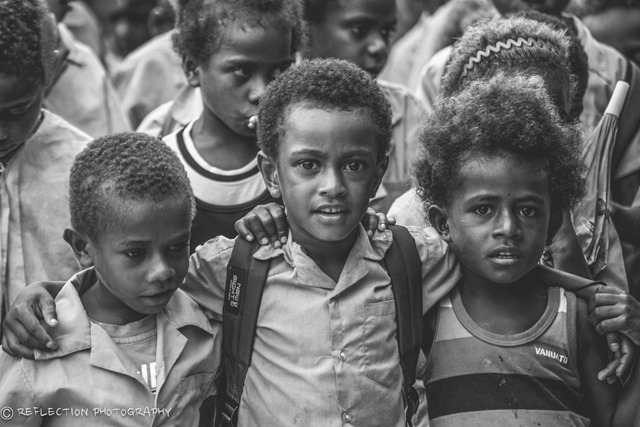 Our students are often from distant islands and they need to bring their families to Bible school with them. Will you help us? 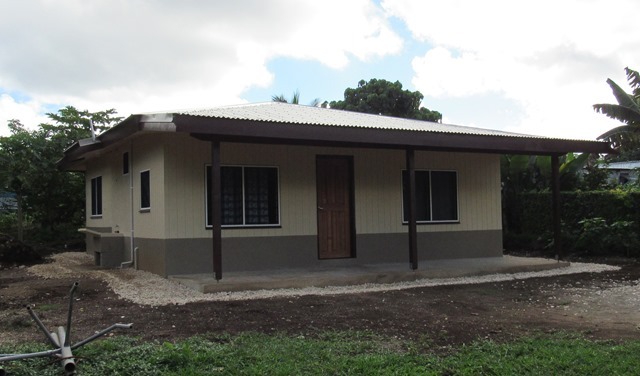 About $15,000 will build a small one bedroom house for a student family. 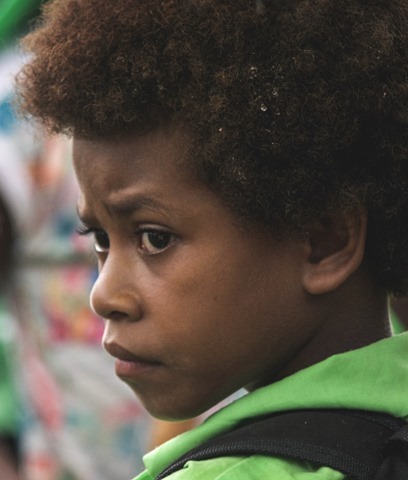 One hundred forty-three children were left without classrooms to study in when Cyclone Pam completely blew away their school in March 2015. 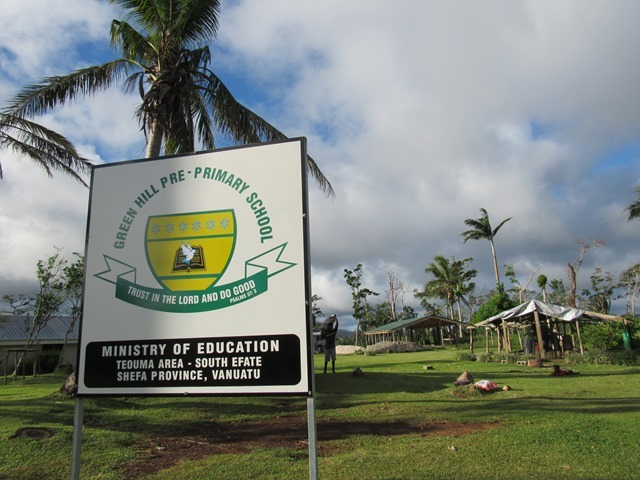 Green Hill Primary School was started by Joy Bible Institute graduate, Pastor Charley Job, and is the only school in that remote farming community. 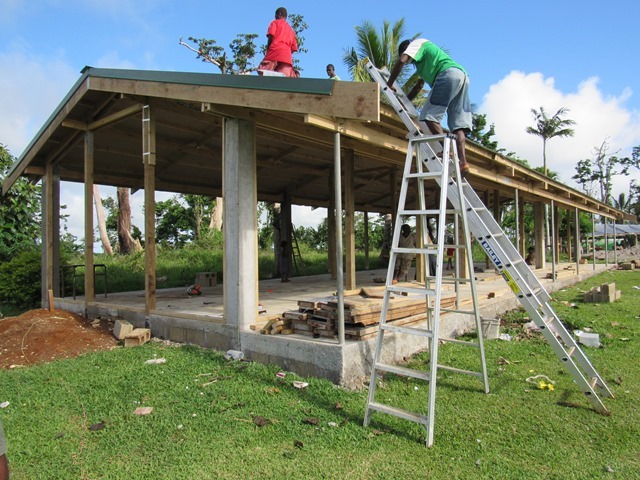 We have been partnering with them to rebuild their school and need your help to complete the job. 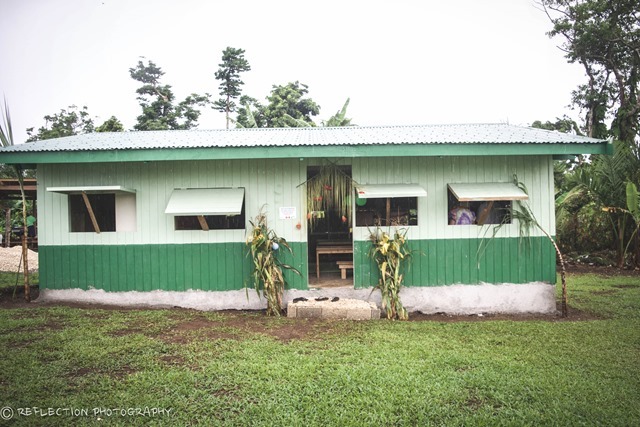 We are currently raising $45,000 to build a simple three room classroom building for grades 4 to 6. 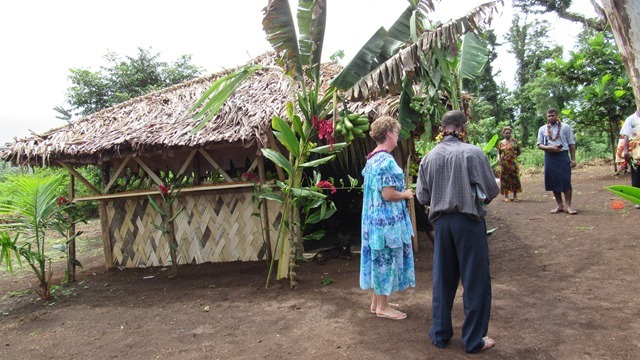 Pastor John Yalsi and his wife stand in front of the ruins of their small Assembly of God church. They pastor in a small farming community in the hills of Teouma. 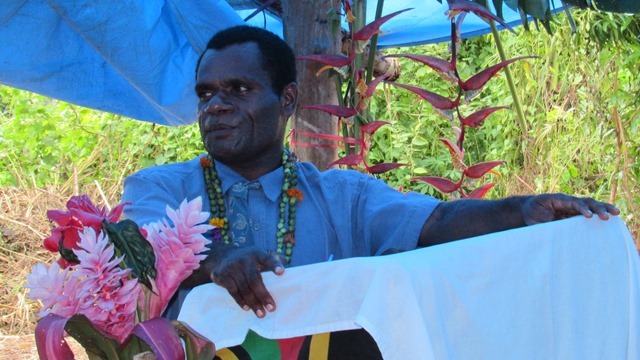 Pastor Yalsi and his wife grow vegetables and sell them in the market in Port Vila to support themselves. 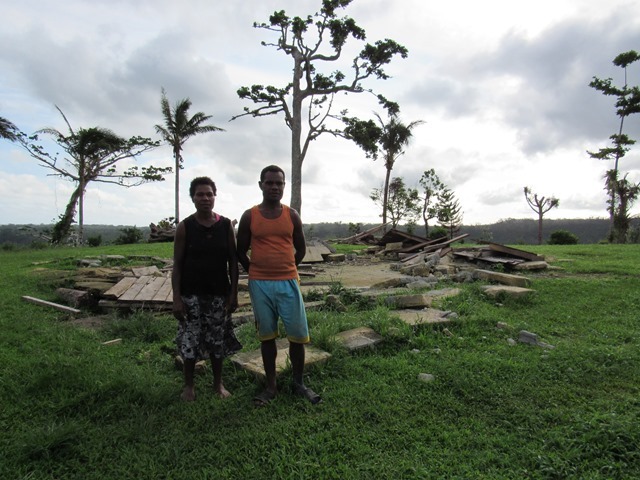 Cyclone Pam completely destroyed their church, village and gardens. The cost of replacing this partial concrete building is beyond their means. Would you join with us to help rebuild this church and several others? 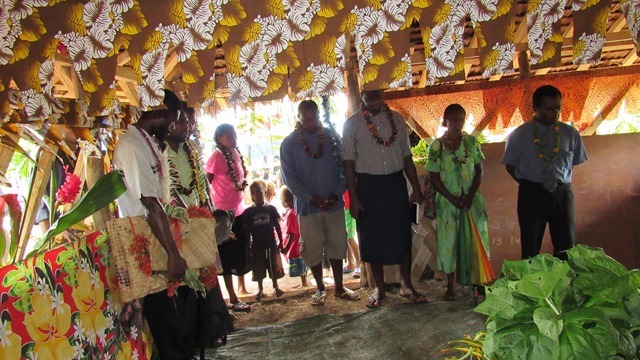 60 AG churches were either totally destroyed or damaged from Cyclone Pam on March 13, 2015. 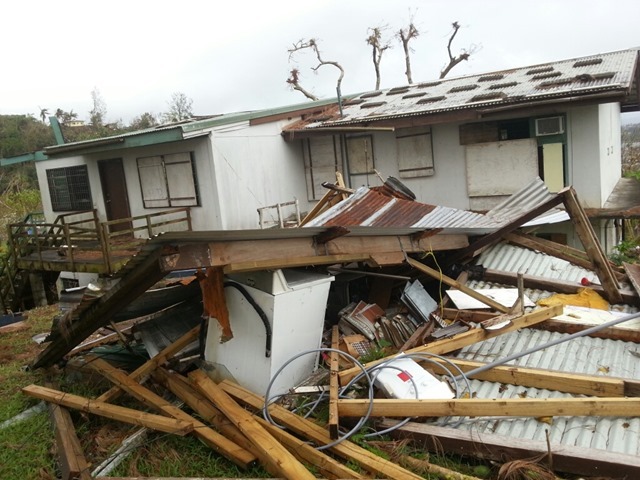 The Joy Bible Institute had many buildings damaged and roofs blown off from Cyclone Pam. Much of the campus has been repaired but not everything. 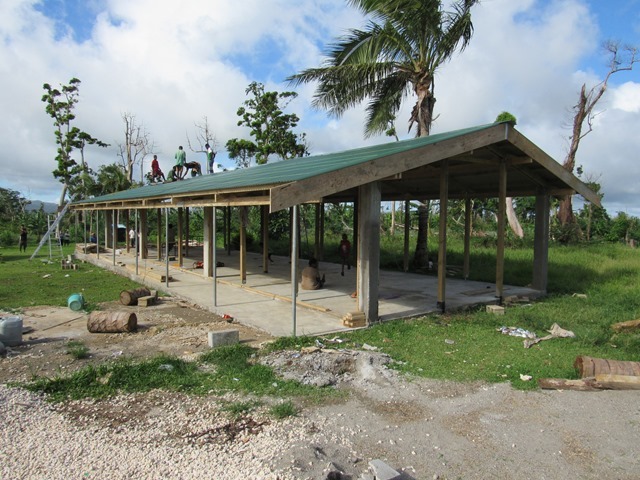 Funds have run out and we still need to repair the school chapel and the pile of rubble in the foreground of the photo above was a storage building and carport. We need funds in order to repair and replace the facilities we have lost. Any offering to the Joy Bible Account AGWM #541772 would help us to continue repairing the cyclone damaged buildings on the Bible school campus. This year JBI has planned to host three overnight Pastor’s Seminars on campus. The first one was held April 8 to 9th. The theme was EVANGELISM. 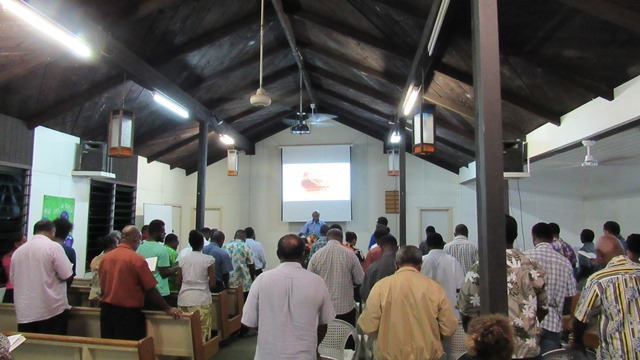 Many pastors arrived early on Friday afternoon and had supper in the student cafeteria before the first session at 7:00 p. m. The chapel was very full from the beginning. JBI teacher Philip Naias was the Friday night speaker. The next morning, J. Gary Ellison and Kiel Maimai took the next sessions. At the end of the morning, so many expressed how they were challenged to be more active in reaching out to the people in their communities. 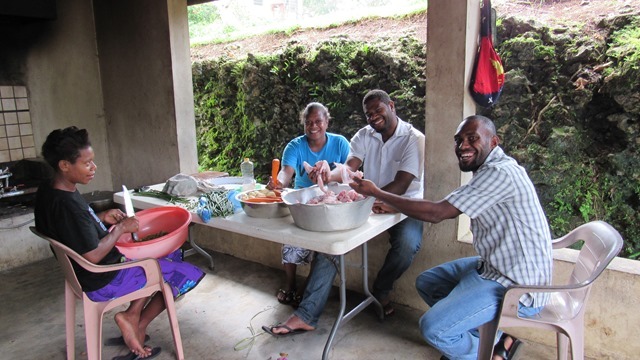 JBI students were busy cooking and hosting the visiting pastors. 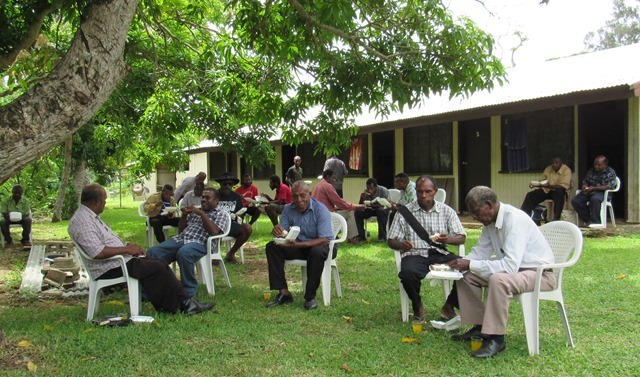 Lunch was served outside under the mango tree on Saturday and everyone lingered and talked for a couple of hours before going home. We were so pleased to hear that our provincial church leaders are actively pursuing plans to have some joint evangelism events across the city as a direct response to the seminar. 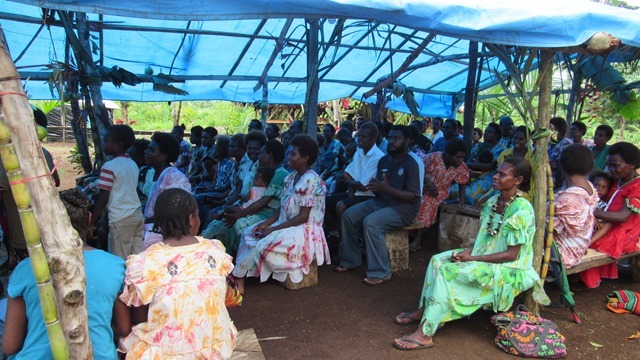 Two churches have already gotten together and had a evangelism outreach since the seminar. I was very excited when we received a call asking if we would go back to Rangorango and celebrate the opening of their church kindergarten. On a Sunday in late November 2015, we had visited the church in that rural farming community. Gary had preached and I was asked at the close of the morning service to give a pep-talk to the church people about launching their own kindergarten. There is no school of any kind for miles around so all children must leave home and live with relatives elsewhere if they want to start their education. I do not normally give such pep-talks but in light of the lack of education for the children, it was not difficult to underscore the need and their ability to do something for their children. The church itself had 50 children in attendance that morning! So to be asked just five months later to come and attend the opening of the first kindergarten was awesome! JBI Dean of students, Pastor Kiel Maimai and a group of JBI students accompanied me and Jasmine. Pastor Kiel and the students were to speak in the Sunday morning service which would follow the official ribbon cutting ceremony of the kindergarten. Welcome speeches were given by Pastor Charley Job and the community leaders. The chief announced the name of the school as LoriNafeNaka Kindergarten and it was unexpected to be thus honored. The next day was my birthday so it was a very special gift. The other parts of the name identify the two language groups the school will serve. 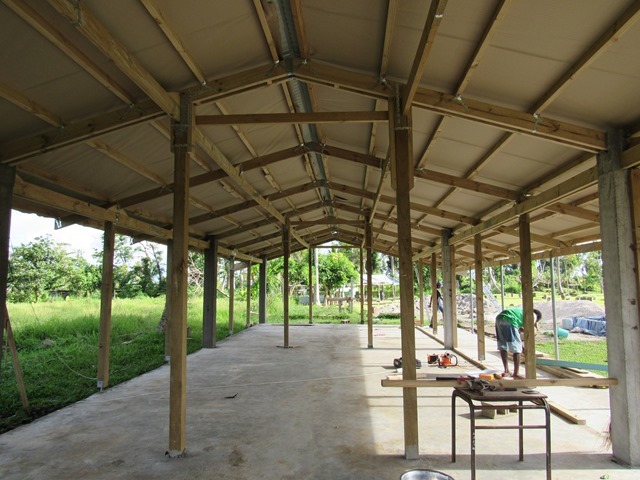 The kindergarten was made of local materials by the community and sits on the church property. I was asked to cut the vine across the door with a machete knife and then we went inside to look at the lovely schoolroom. Group photo above: myself, Mrs. Charley Job, Pastor Charley Job from Green Hill, JBI students, Pastor Kiel Maimai, and local Pastor David Willie. 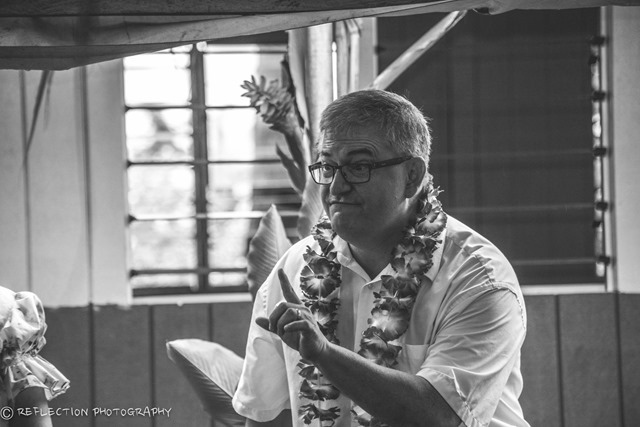 Pastor David Willie (photo below) is a 2013 JBI graduate and became the pastor of the church after graduating. 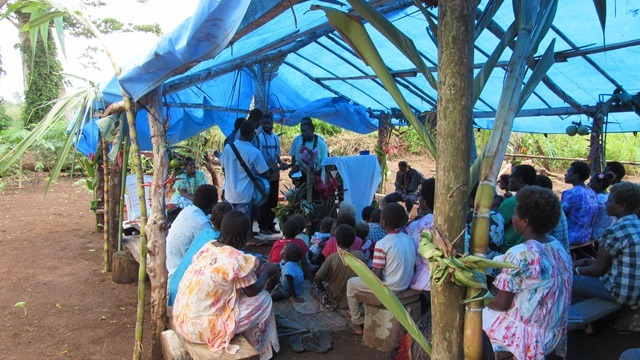 Rangorango began as an outreach of Green Hill church and many people have come to Christ. 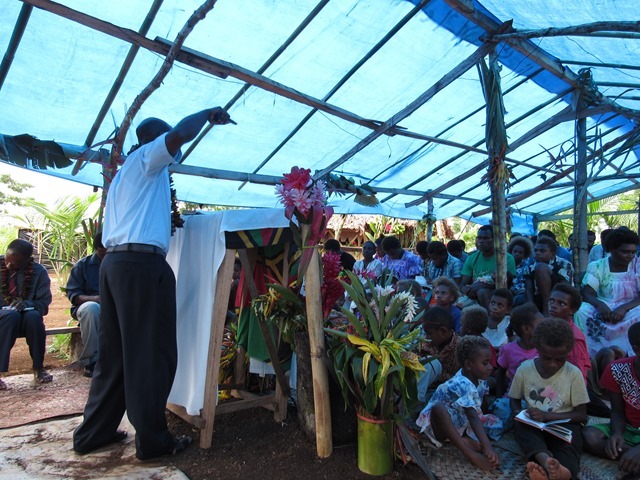 Sunday morning services are held under blue plastic tarps as the former building was destroyed by Cyclone Pam last year. This community depends on market gardening for income and was very hard hit by last year’s cyclone and the drought which followed. The JBI students led the morning service, shared testimonies and song, and then Pastor Kiel preached. We had a wonderful service and a potluck dinner followed. 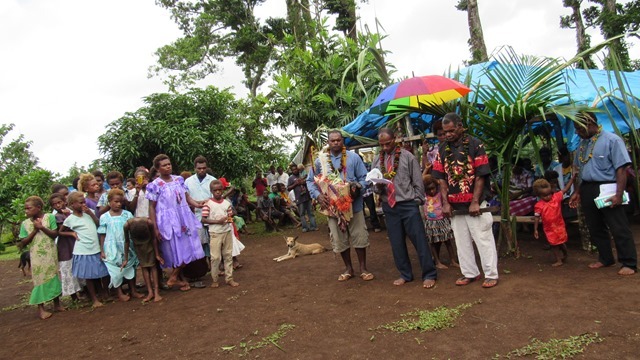 Please pray for Pastor David Willie and his family as they minister among the people of Rangorango. Please pray for the kindergarten teacher and the little ones being taught each day. If you would like to help provide a more permanent church roof for this congregation or school supplies, please contact us. 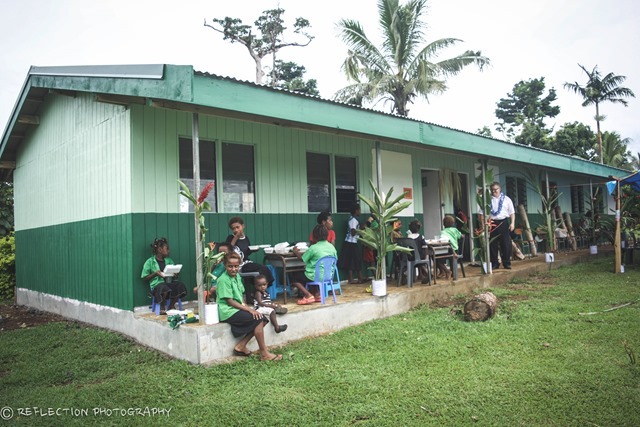 On March 11, 2016, just a few days before the one year anniversary of Cyclone Pam which totally destroyed the Green Hill Primary School and much of the community, we gathered to officially open two new school buildings and start the new school year. 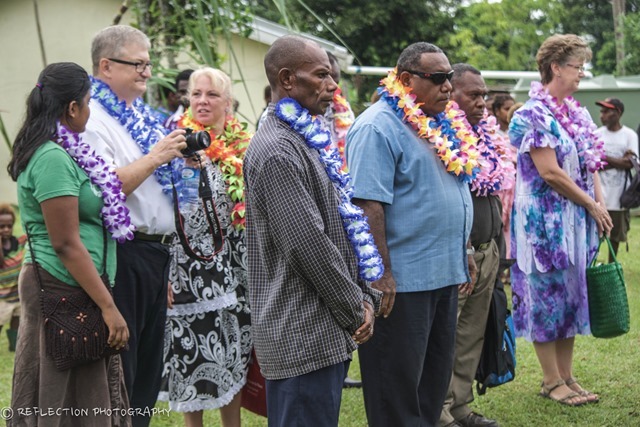 It was a rainy day and the road was a bit more treacherous than normal, but the four-wheel drive pickup was packed with church leaders and missionary friends eager to celebrate the event with the Green Hill community. Pictured above: Back row – Jasmine Ellison, Rev. Dave Wood, Julie Wood. 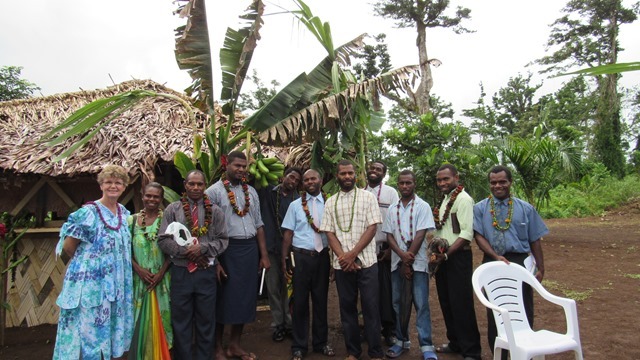 Front row: Green Hill AG Pastor Charley Job, Shefa Province AG Presbyter Rev. Berry Kalotrip, Shefa Province AG Treasurer Rev. Joshua Malakai and Lori Ellison. 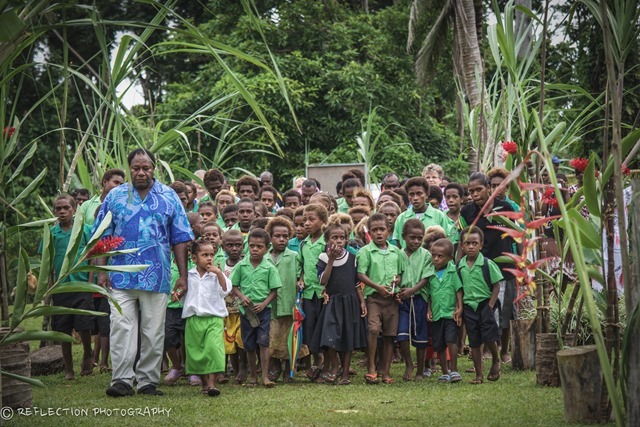 The Green Hill school children waiting to greet the visitors and accompany us into the school property. The school children led the way in song. 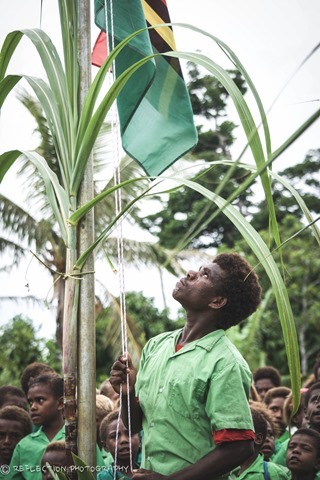 Flag raising and singing the Vanuatu national anthem. Clockwise from left: Listening to speeches, singing, praying, and a kid’s sermon. The traditional giving and receiving of gifts. Rev. 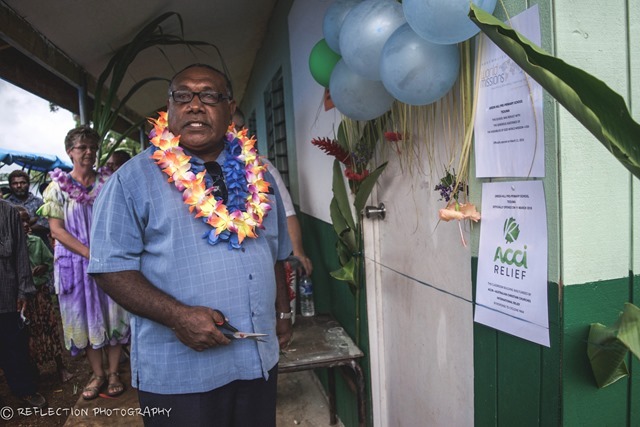 Berry Kalotrip cutting the ribbon on the door of the first classroom. The main school building consists of three classrooms. The main donor was ACCI Relief of Australia. They gave AU$41,800 to rebuild this building. Mrs. Lori Ellison was the project manager, receiving the funds, purchasing all the building materials, and overseeing the actual construction. To fully complete the building, US$10,000 was also given by AGWM-USA. 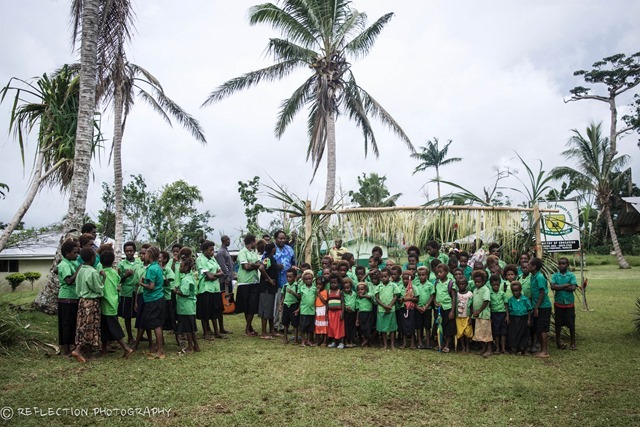 We are so grateful to all who gave to rebuild this school. A special thank you to Katie Blok of ACCI for reading my first email and then her amazing support for the project. Above: Accepting gifts of garden produce from the Green Hill community. 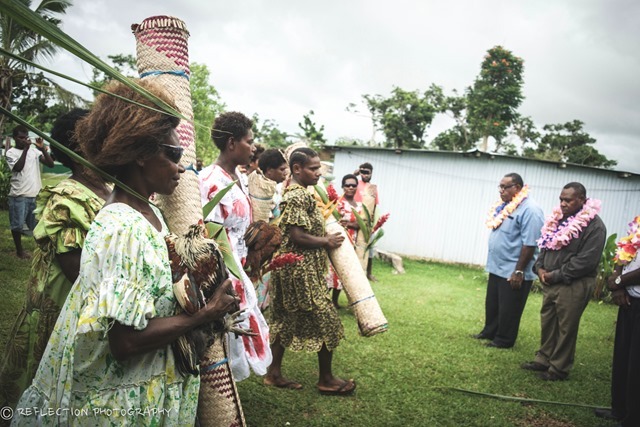 Above on the left: Pastor Charley Job, (JBI grad) is the man who carved this mission work and school literally out of the bush, high on a plateau above the Teouma River Valley. 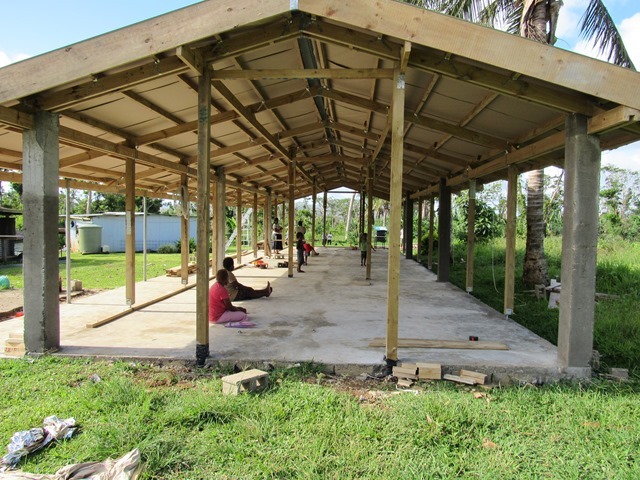 He built a church and a school over the years and Cyclone Pam took it all away in one night, March 15, 2015. At the reopening of the school, 146 children, grades K-6 were enrolled. Until more funds are available for more classrooms, six grades will be squeezing into three classrooms. Above on the right: Green Hill school headmaster, Joseph Kalo. 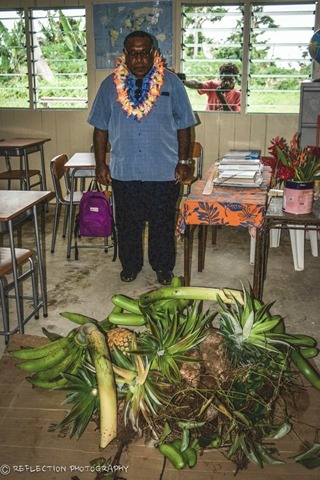 He kept the school functioning after the disaster and loss of buildings and books. For months, teachers and students, huddled under tarps and sat on the grass for class. 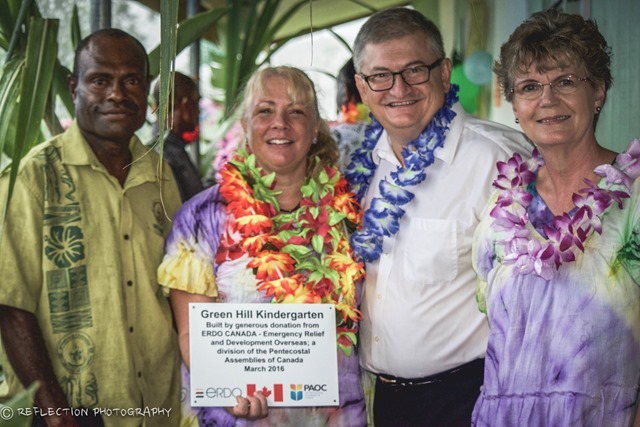 We are also very grateful to PAOC partners, Dave and Julie Wood, who before they had even moved to Vanuatu, were raising funds and awareness in Canada to rebuild a kindergarten building for Green Hill Primary School. A special thank you to Rev Murray Cornelius who responded favorably to my email to asking for help from the PAOC. Very grateful that ERDO Canada agreed to sponsor the new kindergarten and many friends and family who donated money to ERDO. Thirty-six little ones are now attending kindergarten under the care of head teacher Ruth and her helper. Above: The new kindergarten built by PAOC and ERDO partners in CANADA. 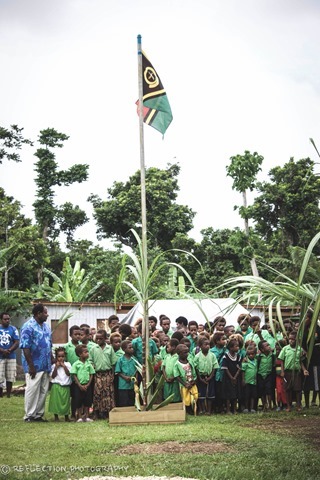 The rebuilding of this school was a logistic challenge from day one, so many amazing things happened to bring us to this day of dedicating the new school buildings. 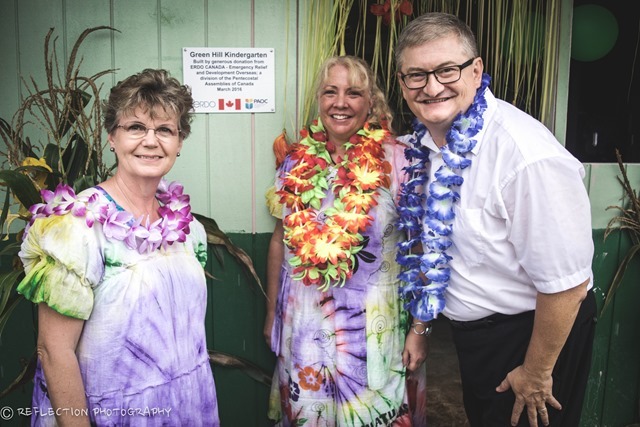 I am so thrilled that church friends in Australia, Canada and the United States came together and showed such compassion to the families in a little-known farming community of Green Hill which had been almost blown off the map by Cyclone Pam! Thank you from the bottom of our hearts!! Photo above: to the right of the school sign, the first shelter is the temporary church with a silver plastic tarp for a roof and behind the church is a new green metal roof building. The green roof building is the new 3 room classroom building for the primary school. 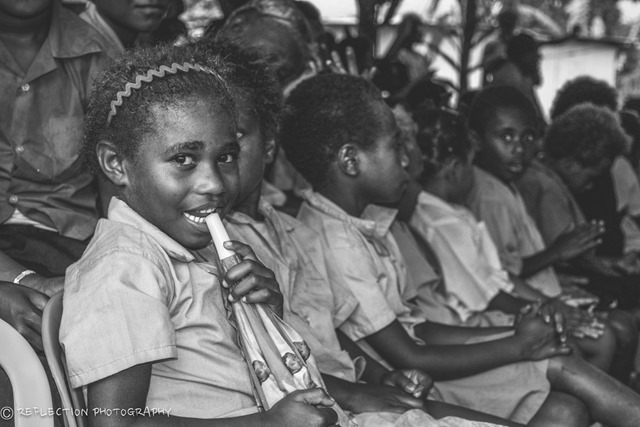 Cyclone Pam destroyed the church and school in March. I was very excited on December 23, to go up to Green Hill Teouma and check on the progress of the new building. Since the rains have started, the road to Green Hill is an hour long 4 wheel drive mud adventure. A group of nine men have been working for a several weeks on the new school building and I was anxious to see what they had accomplished since my previous visit. It has been a challenge to build so far off the main road. Most hardware stores and suppliers will not deliver to Green Hill so we have had to use a 4WD pick-up truck to haul materials. We started in November pouring the concrete slab in severe drought conditions, which necessitated the hauling of water from 45 minutes away to mix the concrete. Then when we got ready to put on the roof, the rains started and the road is now flooded! We are happy for the rain as the community had emptied their drinking water tanks! 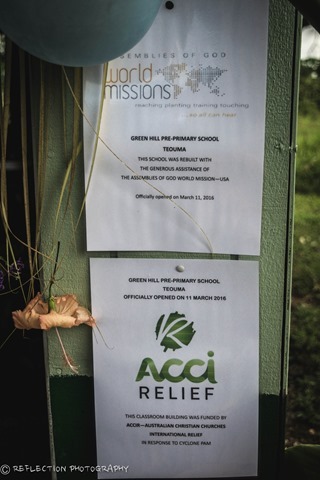 Please label donations for Green Hill School Project #5778 if you are donating through AGWM. Thank you!